At Tango Hair Loss Clinic in Brisbane, we believe in the efficacy of curing hair loss naturally. We consider invasive surgical procedures such as a hair transplant unnecessary, and will always help you to find a treatment plan first. That being said, we do understand that for some of us, a surgical hair transplant Brisbane might seem like the best solution, and we respect your choice. Even after your surgery, we can still help you with recovery, to ensure that the procedure was a successful one. 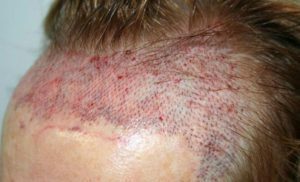 According to the Mayo Clinic, a hair transplant procedure involves a surgeon removing small plugs of skin from identified sites, and implanting them on bald spots. These tiny plugs of skin each contain a few healthy hairs, which heal in the new site, and continue producing hair. 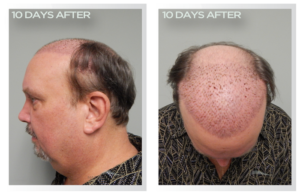 Hair Transplant Surgery is often costly and painful. If you plan on undertaking the procedure, you’ll have to look out for possible scarring and infection at the implant site. Who is the procedure for, and who isn’t it for? If you feel that you’ve gone through every possible hair treatment except surgery, and still want to regain your hair growth, you can consider the surgical procedure. However, if you haven’t spoken to our hair loss specialists, we urge you to have a chat with them, before putting things into motion. The procedure involves transplanting hair from parts of your head that still have dense, and healthy hair follicles. If you don’t have any hair growth on your head, a transplant will not be possible for you. Almost all procedures require that only hair from your head is used, so other sites on your body will not suffice either. Normally you will be able to go home the same day of the procedure. However, you will have to deal with swelling and scabbing, and will also not be allowed to wash your hair for some time. That is not all. You will be told to stay away from alcohol and certain medications throughout the recovery period. You also cannot exercise during your recovery period or bend over, normally for 72 hours after the procedure. You will also be asked to sleep in a more upright position for three to four days, as it will help to reduce any swelling from the procedure. When is it safe to wash my hair after surgery? After the initial healing period, it is ok to wash your hair but you must always be sure to do so gently, and never to use your nails. When you dry your hair with a hairdryer, you have to ensure that its set on cool. Also, be sure to dab your head gently with a towel when you are finished washing, as it will help soak up any blood and moisture, without hurting the implants. It will take from seven to ten days for the sutures to come out, after which a check-up is normally scheduled, so that your doctor can ensure that your recovery is going smoothly. Keep in mind that the above is a brief description of the healing process, and cannot be taken as medical advice. Always be sure to consult with your doctor first before attempting any of the above at home. Book in for an appointment at our Brisbane Clinic and let one of our specialist team take care of those tricky first few washes for you. How do I treat scabbing? Scabbing is common and another good reason to entrust an expert such as ourselves to help you. Gentle massage done properly can accelerate post surgery recovery. It’s best to leave the scabs to heal on their own and commence this afterwards with approval from your doctor. Never pick at the scabs on your head, as it might dislodge the implant, negating its growth.